We would like to commend you for your decision to visit Iran to monitor the upcoming elections and, we hope, to closely observe the human and civil rights violations that are tearing at the fabric of our country. These violations continue despite pro-regime propaganda in the media and from the regime’s lobbying organizations in the United States. As elected representatives of the American people, your visit and your support for the freedom of our fellow countrymen sends a significant message to the regime and to its apologists around the world: America is watching. Political prisoners and prisoners of conscience in Iran are reliable witnesses to the reality of the religious dictatorship ruling our country. We hope you will ask and be allowed to meet with some of them. One of the longest suffering political prisoners, Mr. Seyed Hossein Kazemeini Boroujerdi, has been jailed since 2006. His crime: advocating the separation of religion and state and defending democracy and freedom. This 57 year-old clergyman’s health has now reached a precarious state, because of diseases caused by constant beatings and other forms of torture over the past ten years. Mr. Boroujerdi has requested that international organizations supervise a free referendum in Iran on clerical rule, to determine the true will of the people and to allow them to freely express their opposition to religious government. 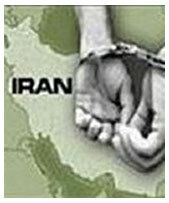 He has sent many letters from prison to human rights groups and other international organizations and authorities, revealing the systematic violation of human and civil rights by the clerical regime in Iran, and to emphasize that this regime is a real danger to world peace. Recently he released an open letter condemning the nuclear agreement with the world powers (the so called Joint Comprehensive Plan of Action, JCPOA), and the suffering caused to the Iranian people by international sanctions brought about by the regime’s own behavior and global ambitions. The Special Court of the Clergy, a judicial-security body established to punish dissident clerics, has denied Mr. Boroujerdi legal representation, as well as access to medicine and medical treatment, either in treatment or from outside hospitals. This illegal court, and other security organizations created to repress Iranian liberal dissidents, was not established on a democratic procedures, and acts solely under the direction of “Ayatollah” Khamenei, Iran’s supreme leader. For ten years, despite an international human rights campaign on his behalf, Mr. Boroujerdi’s situation and health has continued to deteriorate. So we appeal to you that you pay attention to this prisoner during your visit to Iran. Ask to visit him, and if possible, bring a reputable international physician with you to provide him with urgent medical care. live in freedom and dignity in their own country.